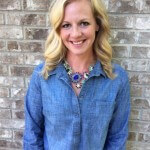 Active Learning Strategies: 25 Games and Activities to Get Kids Moving and Learning! At The Inspired Treehouse, we’re big advocates of active learning for kids. 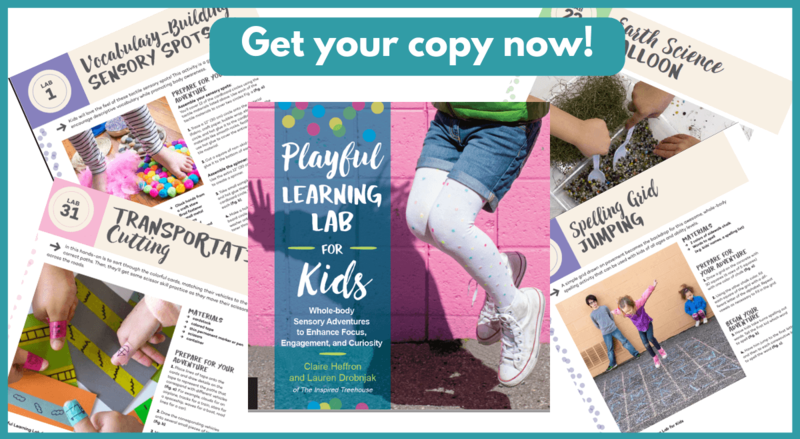 These awesome active learning strategies, games, and activities are the perfect way to get kids moving and learning! As kids come off of long summer breaks with days filled from with continuous movement from dawn to dusk, it can be hard for them to sit still and pay attention to learning activities for any stretch of time. We’re pretty sure that it’s hard for teachers to sit still all day too! To us, nothing is more important, especially during the transition from summer to school, than getting kids up out of those chairs and inspiring them to move while they learn! -movement improves brain function, reduces stress and improves circulation. 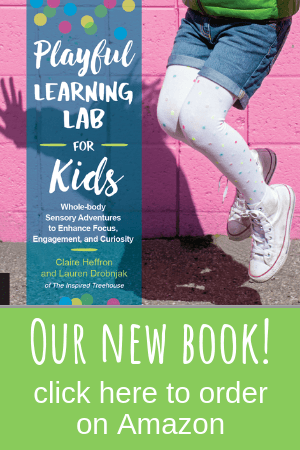 This time of year, teachers, parents, and therapists everywhere are looking for new active learning strategies to support kids in the classroom, the therapy room, and at home and we’re here to help! 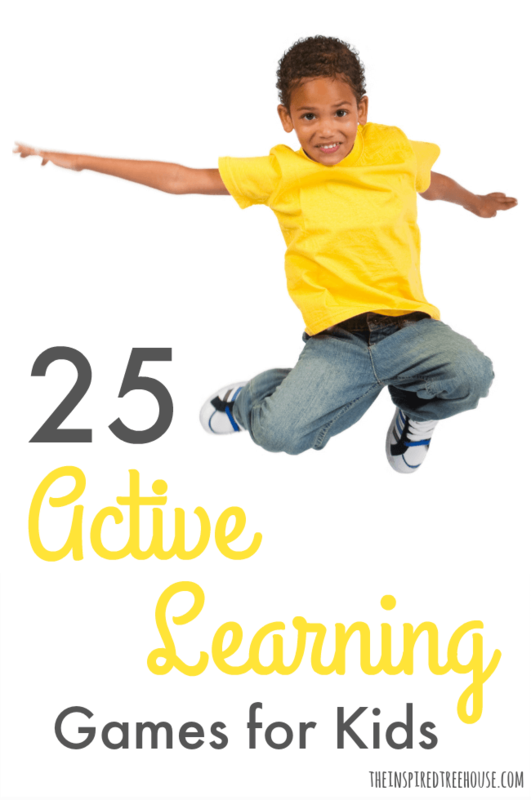 Here are 25 awesome ideas for learning through movement! These ideas would be perfect for a therapist to use when offering push-in services in the classroom setting. This activity is a hit with all ages! Be creative! You can also use this with spelling lists and other important words you want your kids to learn to spell. Educational and good for healthy bodies, this activity really a win-win. These cards correspond to each letter of the alphabet and target a huge array of developmental skills and are perfect for any age. Tools to Grow features this fun game that helps children improve their fine motor coordination, upper extremity control, motor planning, visual perception, and early math skills. Use a balance beam or make one out of found objects then use it to teach number recognition and sequencing as well as directional terms like forward and backward. Can you spy a great language activity from miles away? We can! This one works on positional concept terms, receptive identification of body parts, colors, pictures, objects, phonological awareness (rhyming), fine motor skills, visual perceptual skills, and cognitive skills. Whew! Who knew you could get so much out of moving to learn! Tuck this one away for the holiday season! We did this activity with a Valentine’s Day theme, but you could substitute the hearts and pink paper with Christmas trees cut out of holiday-themed paper, or you could make the cutouts look like letters in envelopes for a fun “mailman” activity with preschoolers during a Community Helpers unit. “I spy something that begins with the letter A”! A classic game that every kid loves that can be changed up a bit to target all kinds of academic and preacademic skills. Add a movement component like “skip to the letter A and show me where it is” and you’ve got a double whammy!! This fun little name craft for kids can be played with again and again so kids can get some repetition along with a great fine motor strengthening boost! Once you make the craft, place clothespins on either side of a balance beam and have kids squat or bend while balancing to retrieve them and complete their caterpillar! This Spell Your Name Hopscotch Game is designed to help them learn how to spell their names through movement by playing a hopscotch-like activity! Learning the alphabet doesn’t have to be boring! Try this alphabet yoga activity to get kids moving and learning. Find a vertical surface and get kids moving up and down to create giant letters with window markers, chalk or paint! Combine reading sight words with various movements and students will have tons of fun while being physically active. Just say the word beach and I can think of a million ways to get kids moving and learning. This activity couples homemade dice with movement in a follow the leader style game. 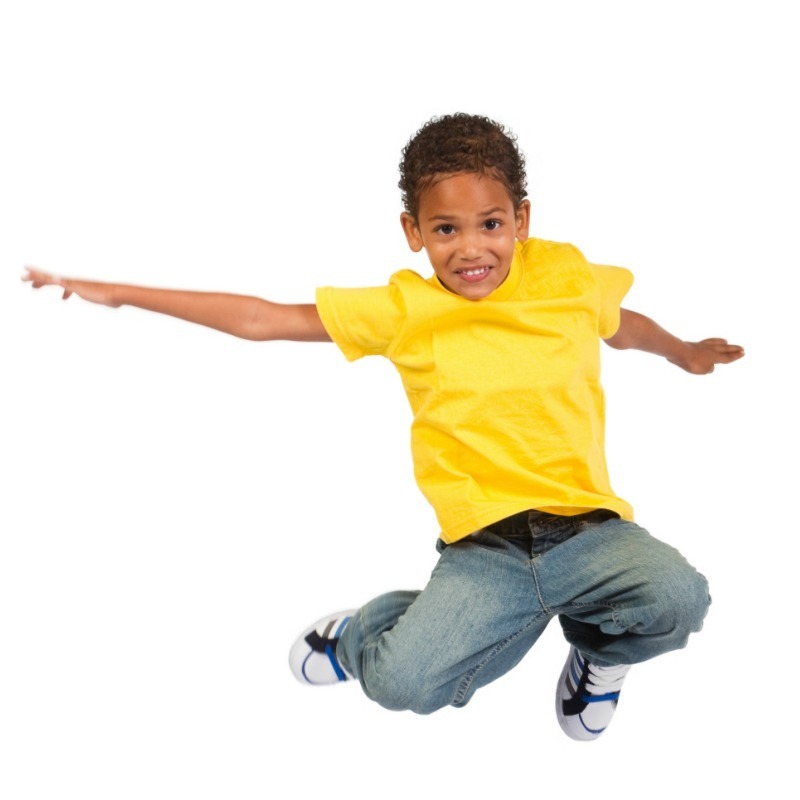 These 3 fun ideas are a great way for teaching kids their phone numbers through movement. Working with manipulatives during hands on activities creates an awesome mind-body connection to solidify learning and memory. A very cool series of yoga poses to get your child to recognize shapes through body movements. This is a super simple alphabet game that gets kids moving and grooving while they learn their letters. Blocks and tape are all you need for this fun word building, letter recognition activity! You could adapt this easily for different levels using upper and lowercase as pairs to match, sight words or word families in addition to the rhyming word game! An awesome idea for working on letter recognition, this fun activity keeps hands and minds busy. The simpleness of this activity makes it easily adjustable for all ages and levels. I think every child will love this idea for finding word families – ready, aim, fire! Turn an old Twister game into a learning experience full of balance and flexibility challenges that your kids won’t forget! If your kids like to dance, hop, skip, crawl, move and play then this reading/sight word game is for them! Kids are active, learning, and having a blast every time they start playing this sticker game. Want a great way to spice up learning how to read and spelling practice? Try this jump and learn game! “Peel a banana upside down; see if you can touch the ground. 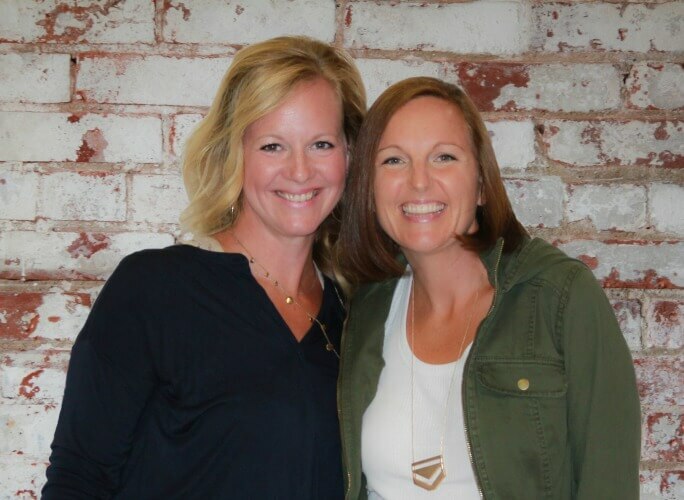 If you spell your name correct, you will get another chance.” I would say jumping rope and rhyming pack a huge learning punch! I like how you say that the rhyming reindeer learning activity involves the receptive identification of pictures, objects, and body parts, the use of fine motor skills, and the use of cognitive skills just to name a few. That is so great. I’m trying to find the right school for my daughter to go to, and I want to make sure that it has appropriate leaning activities like these as part of the curriculum. My kid love’s Alphabet Yoga game so much! Thanks!